How can online influencers help grow awareness, sales and loyalty for your business and your brand? How do you find online influencers (there are 4 methods of doing so)? Once you’re found online influencers that are a good fit for your brand, what do you ask them to do, and why? 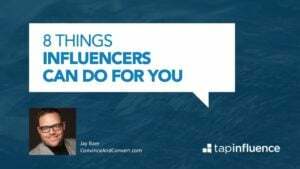 This information-rich presentation from Jay Baer of Convince and Convert and TapInfluence provides these answers, and more.